So at the start of the year I wrote out my goals for the year HERE and then I wrote a 6 month review HERE. 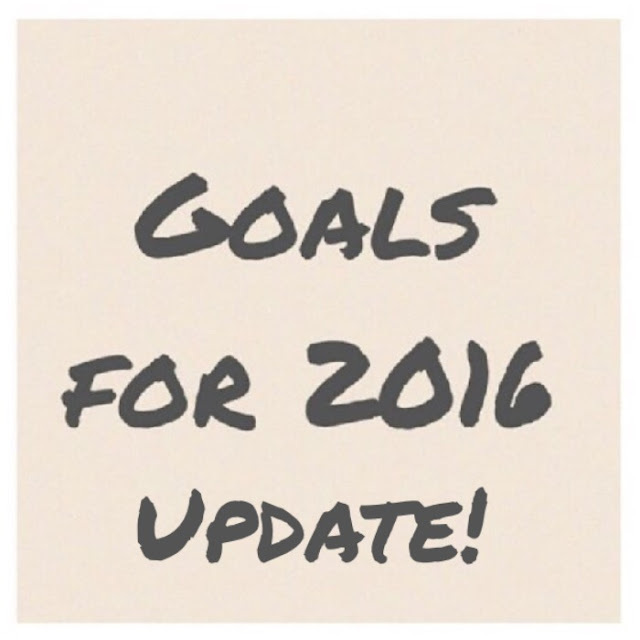 This is a little post reflecting on my goals I set at the beginning of 2016. I did lose weight this year which I am proud of. I am lighter than this time last year and so this will be the first year in a while where I am actually ending the year lighter than the beginning. I am slightly heavier than I was in August however I am motivated to continue my weight lose journey. Okay so I didn't do the best at this during the year. At times I did was motivated and exercised regularly. While other times I had injuries or was too busy with my studies to leave the house. You can track my progress on Goodreads if you want. I am currently 2 books away from reach 50 books for the year. I know I have read more than 50 books however good reads does allow you add re-reading a book as part of your reading challenge. Which is good for making you read new books however not so good for getting an accurate record of all the books you have read in the year. I actually think I have become cleaner and I hope to be more so in the future. As I am nowhere near my mum's standard of tidy. However I just was after an overall improved standard and I think I achieved that in 2016. At times we did post regularly and other times not so much! I still want to post more regularly and at present I have more time so posting will be more of a priority. Bright Something's instagram was more consistent than the blog and I am pretty happy with the efforts we have put it and hope to only keep improving! How did you go with your goals for 2016? Did you remember the ones you set at the start of the year?